Stately and refined, this upholstered loveseat lends its traditional design to elevate your living room's style. 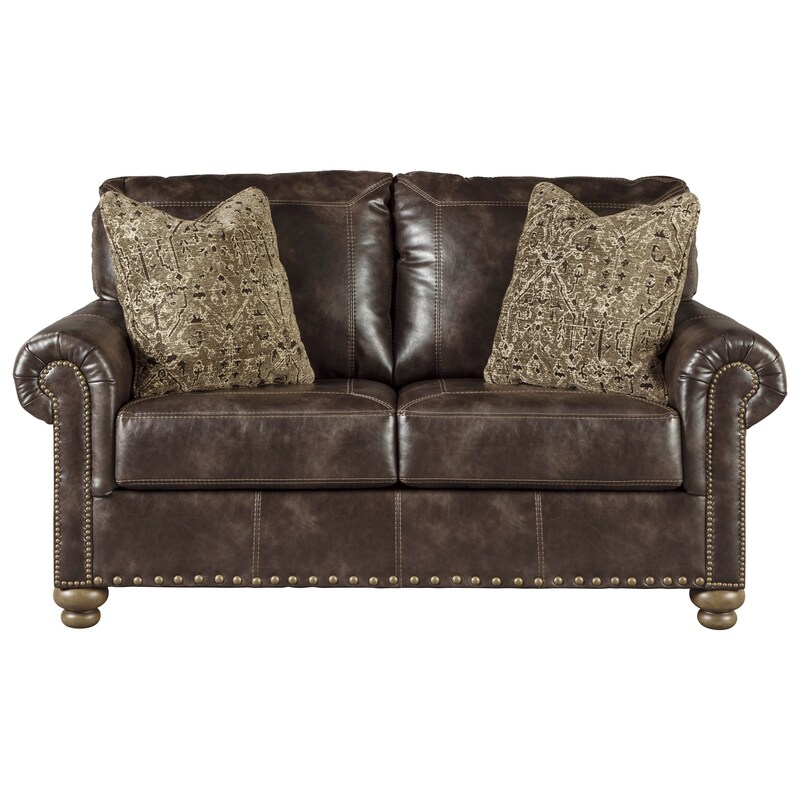 Complete with both nailhead trim and designer stitching, this loveseat is just as stylish as it is comfortable. The Nicorvo Traditional Loveseat with Nailhead Trim by Signature Design by Ashley at Michael's Furniture Warehouse in the San Fernando & Los Angeles area. Product availability may vary. Contact us for the most current availability on this product. The Nicorvo collection is a great option if you are looking for Traditional furniture in the San Fernando & Los Angeles area. Browse other items in the Nicorvo collection from Michael's Furniture Warehouse in the San Fernando & Los Angeles area.